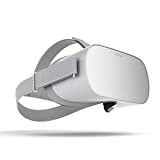 The Oculus Go is a virtual reality headset designed for video gaming, and an enhanced experience watching a movie, and it’s one of the most comfortable VR headsets designed. Oculus Company got into partnership with Qualcomm, a Chinese mobile designer, and Xiao MI, Chinese smartphone maker to develop the Oculus Go. The VR world is becoming more advanced each day. Some of these devices are highly priced while others are budget-friendly and low level of advancement. To get a full taste of these high technology devices you should go for the PSVR and the Oculus Go. Let’s have a view of some of their features for a better comparison. Size and type of screen determine the quality of a VR image. Oculus Go has an LCD screen and a resolution of 2560×1440 compared to PSVR which has an AMOLED screen and a resolution of 1920×1080. Oculus Go produces a clear image since it has a very high-resolution screen. The lighter the better since you will have to wear these devices on your head for a longer time. Oculus Go is much lighter compared to PSVR, though the PSVR is not very heavy. Oculus Go has a memory of 32 GB or 64GB which is inbuilt meaning it’s not expandable. PSVR uses the PlayStation memory up to when space runs out. The Go is an all in one hence doesn’t require a smartphone. It also has an inbuilt processor and battery. Some VR devices can only track a part of your body movement such as the head movement while others can track the whole body movement. Tracking enables you to interact with the’ gaming world’ in a real way. The PSVR has very good tracking features. The camera can track your head movements so that if you move your head in real you will see the virtual head move. The tracking system in the Oculus Go is much limited since you can only turn it 360 degrees space. It cannot track your movements hence if you move your body part it will not detect. 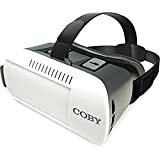 The Oculus Go has many games, some designed for the system and others that have featured in Oculus Rift, although PSVR doesn’t have many games, they are more advanced and are designed for the system. Oculus Go is inbuilt hence doesn’t need the support of a computer pc, but it’s battery life isn’t great since you can only use it for a period of around 2.5 hrs. The Oculus Go is definitely one of the most affordable gaming devices, while the PSVR comes with other components such as controllers, games, and cameras. 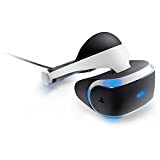 Check out the Oculus Go Virtual Reality Headset and the PSVR at Amazon.com, and pick them up for the lowest prices with fast delivery, straight to your door.